The extreme terrain and climate of the Andes mountains is where the softest, finest wool in the world is produced. Straight from Peru, this is the same luxurious wool that was treasured by the Incas. Alpaca wool is fine, soft, and the fibers are straight, while Merino wool which is also fine and soft, has a natural crimp which adds loft to the weave. Blending these fine wools together results in a luxuriously soft blanket that is thick, warm, and breathable. The surface of both sides is brushed for a soft furry texture, and reinforced binding protects the edging and increases durability. Soft and lofty, due to the combination of Alpaca and Sheep wool fibers. Washable or can be dry cleaned. 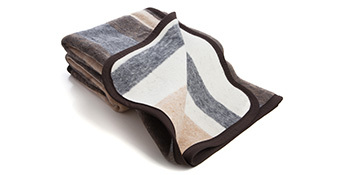 Warm and breathable - both Alpaca and Sheep wool have air pockets inside each wool fiber. This promotes a more restful sleep. Full/Queen size - 72 x 88 inches, 5.5 lbs. King size - 86 x 103 inches, 7.2 lbs. Perfect for bedding, travel, camping, or emergency use. The Best of Both Wools! The extreme terrain and climate of the Andes mountains is where the softest, finest wool in the world is produced. Straight from Peru, this is the same wool that was long treasured by the Incas. 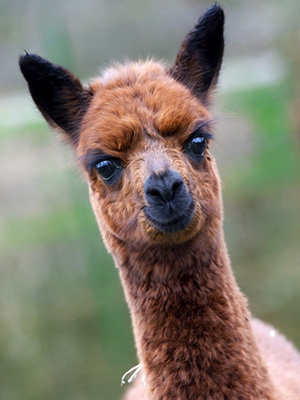 Alpaca wool is fine, soft, and the fibers are straight. 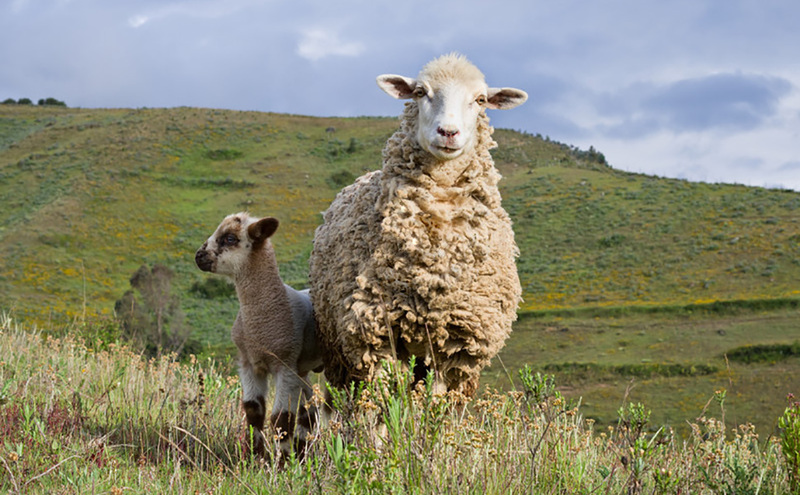 Merino wool is fine, soft, and has a natural crimp which adds loft. Blending these two wools results in a luxurious blanket that is thick, warm, and breathable. The surface of both sides is brushed for a soft, wooly texture. Reinforced binding protects the edging and increases durability. Great blanket, so warm. Not quite as soft as my wife's 100% alpaca sweater, but the thickness of this blanket far out weights the fact that it is not quite as soft as 100% Alpaca. By no means do we find it itchy. The king size Alpaca and wool blanket is perfect for my queen bed, with plenty draping over the edges. It's so comfortable and warm. The colors are growing on me...at first I thought they were drab (gray and beige) but now I'm liking the natural look. Absolutely gorgeous! My alpaca blanket is much thicker and heavier than expected. The quality, color and pattern are wonderful. Fantastic value for a true wool blanket. I will be looking for other products to gift to family...but this one is MINE!! Be advised, this IS all natural and, as such, it does have a rustic odor...that I love. Makes me feel like I'm in a mountain cabin. Good looking, Heavy blanket just what i wanted. The blanket arrived just in time to greet a cold front in northern New Jersey. Great blanket, warm and not heavy. Thanks! Beautiful. Weight of blanket is perfect for comfort. Having grown up using a wool blanket am exceptionally pleased. I bought this blanket with the hope that it would be well made, provide the cozy warmth that natural wool is known for, while at the same time, desiring that the blanket be truly soft to the touch, given that the blanket is fabricated using 50% Alpaca wool and 50% Merino wool. Well, I can say without hesitation that it has exceeded all my expectations. I received the blanket promptly. When I took it out and examined it I immediately loved the thick feel the blanket provided. The alpaca/ merino blend did in fact meet my desires for a non scratchy, soft against the skin feel. I loved the fact that the entire circumference of the blanket had a double stitched protective edge trimming. There was a slight, but in no way offensive, odor that could be detected when you put the blanket up to your nose. I'm not sure how much of that was from the plastic packaging or from the natural wool fibers, but either way, within just a few days of use, it has all but disappeared, and I'll emphasize, it was never something I found to be at all troubling or off putting. Don't let that be a concern for you in considering this blanket for purchase. Super Warm, nice thickness, very soft and aesthetically very pleasing to the eye, so it easily blends into any home decor. Buy one for yourself, you won't be disappointed! This is a great blanket! Heavy, lofty and warm, soft not scratchy, with good binding all around. Compared to the other 100% virgin wool blankets out there, it's a bargain. I'm so glad I found this site. Thank you. This blanket is a quality made product.I am very happy with it. This thing is really nice. Yes it's a little more expensive than other blankets but so far it has really been worth the money that I paid for it. It has a great weight and last night I slept with it up against my skin and I didn't even know it. Most wool blankets are incredibly itchy and irritating to my skin but this one has changed my outlook.